In an exciting move for the always-innovating brand, Jo Malone London has unleashed upon the fragrance world their first fruit-inspired Blossom Cologne, and what a beauty she is! 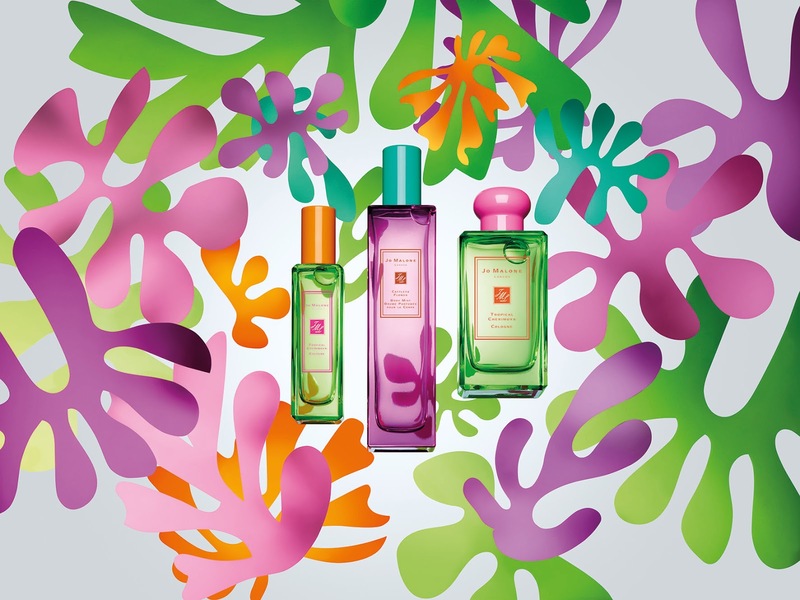 They have left the English countryside to travel to the beach, and the end result is a new limited edition duo: the aforementioned Tropical Cherimoya Cologne and Cattleya Flower Body Mist. Together they comprise the Hot Blossoms collection, which is in store now and couldn’t land at a better time as the temperature drops and we all start dreaming of sunnier locales. Inspired by “Dancing through the streets of Brazil. Laughing. Drumming. Soaked in sunshine. Streaked with colour. Tropical fruits. Flamboyant flowers”, each element in the duo is perfect when used alone but even more so when they are used together. Cattleya has been called the “queen of orchids”, and as the key ingredient in Jo Malone London’s first ever body mist it is an absolute joy. Unabashedly fresh and exotically floral, it comes with a dash of sparkling citrus fruit and bitter gentian, and stays grounded and sensual courtesy of intoxicating vetiver. Tropical Cherimoya, their first fruit-inspired Blossom Cologne, has green cherimoya fruit as its heart, topped with juicy pear. The sun-filled notes of passion flower are also present and accounted for, whilst Brazilian copahu resin and creamy tonka bean keep things warm and inviting. Celine Roux, Jo Malone London Head of Fragrance Development says of the pair: “The inspiration came when I was travelling around Brazil. We loved the flamboyant vibrancy of the flowers and the sumptuous textures of the fruits there, so we thought why not create two fragrances instead of one?” And really, why the heck not?